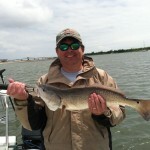 The highs were in the 80’s last week!! 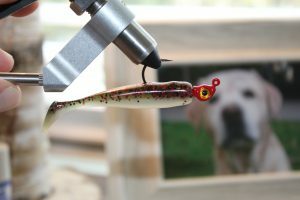 Throwing artificial lures was the way to go! 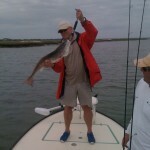 Always nice to see Speckled Trout trout feeding consistently . 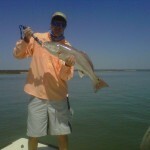 I’m looking forward to some more weather like this. 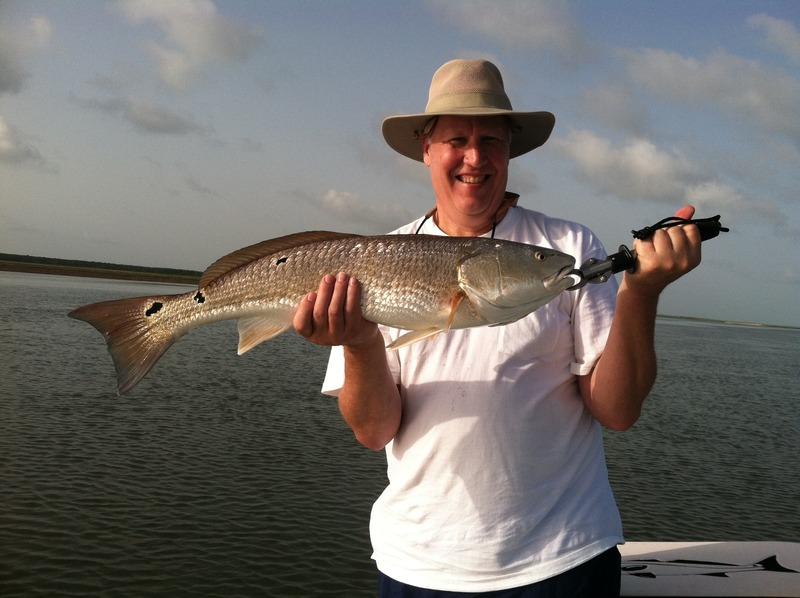 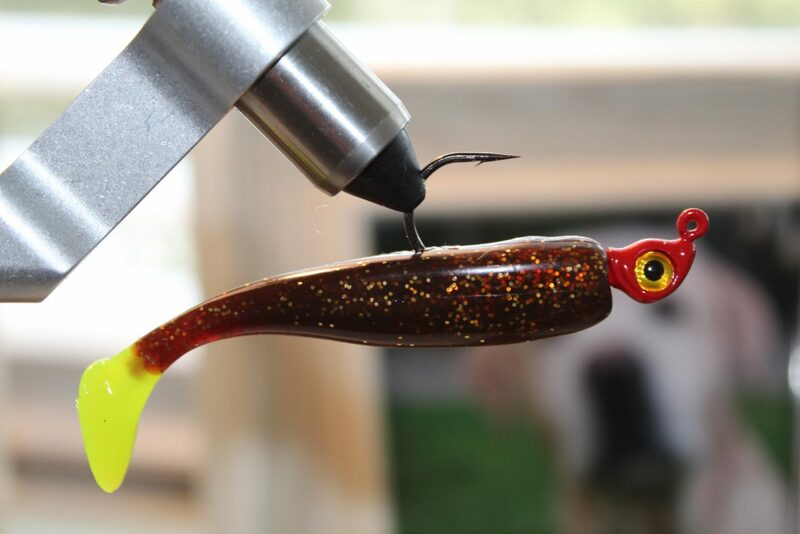 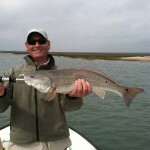 Some go to patterns for fall & winter Red Fishing here in Charleston SC. 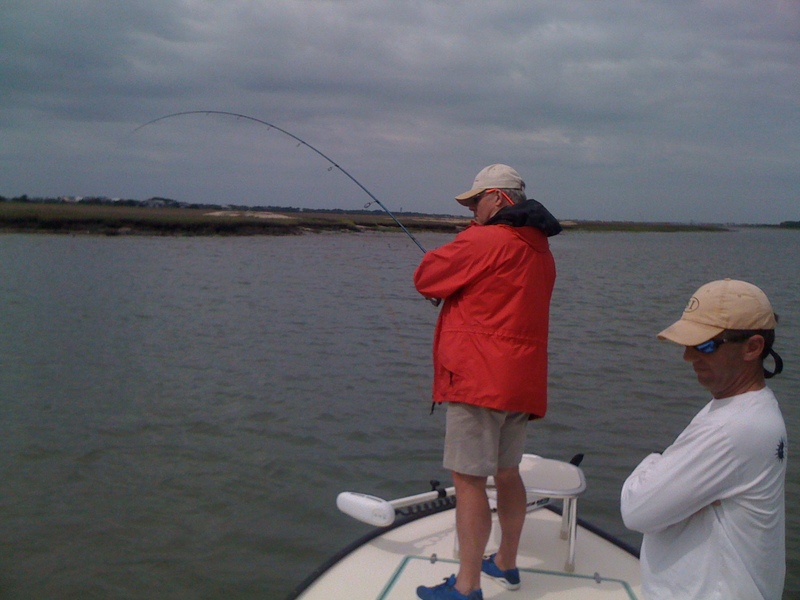 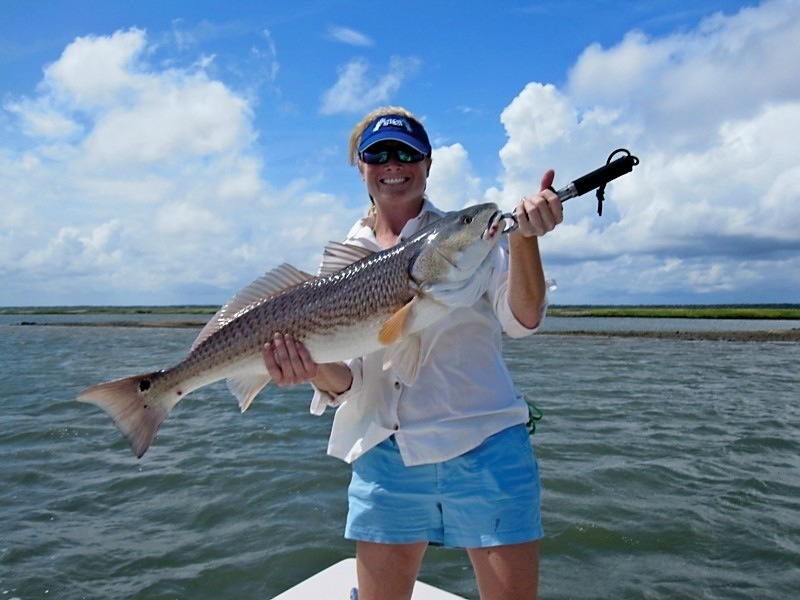 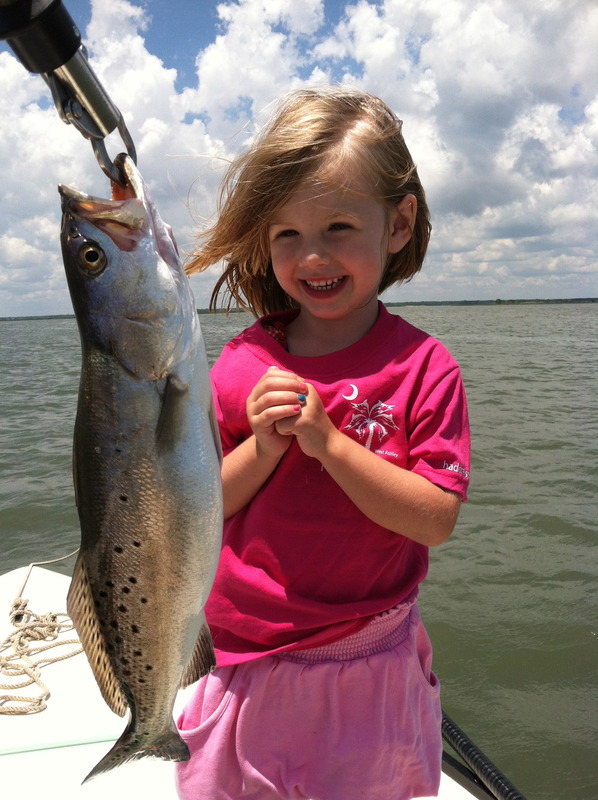 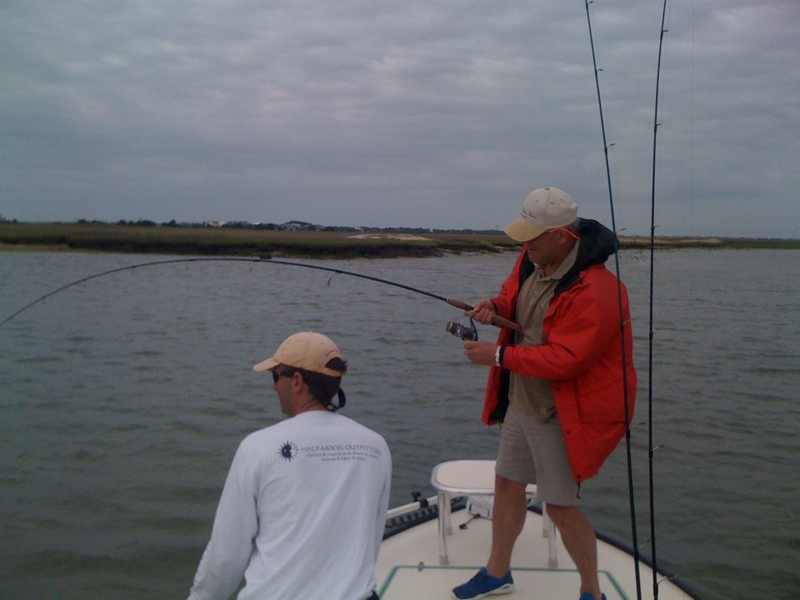 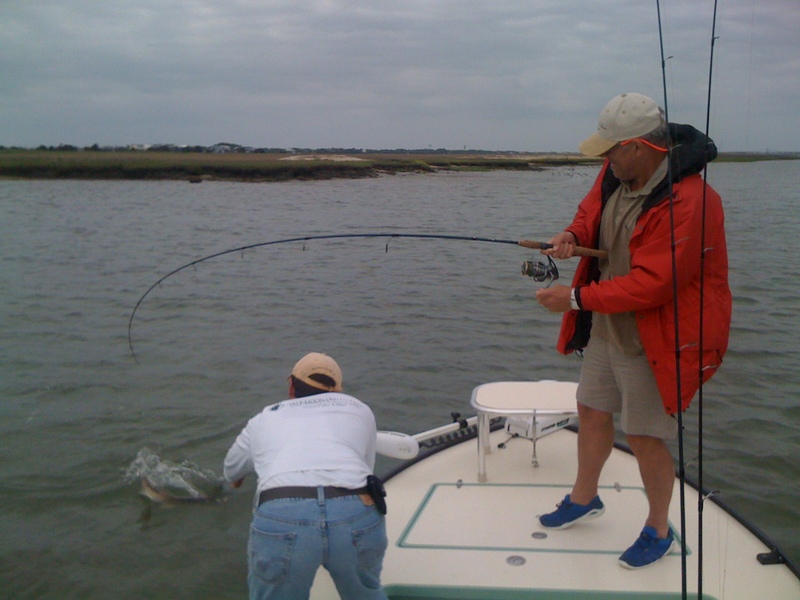 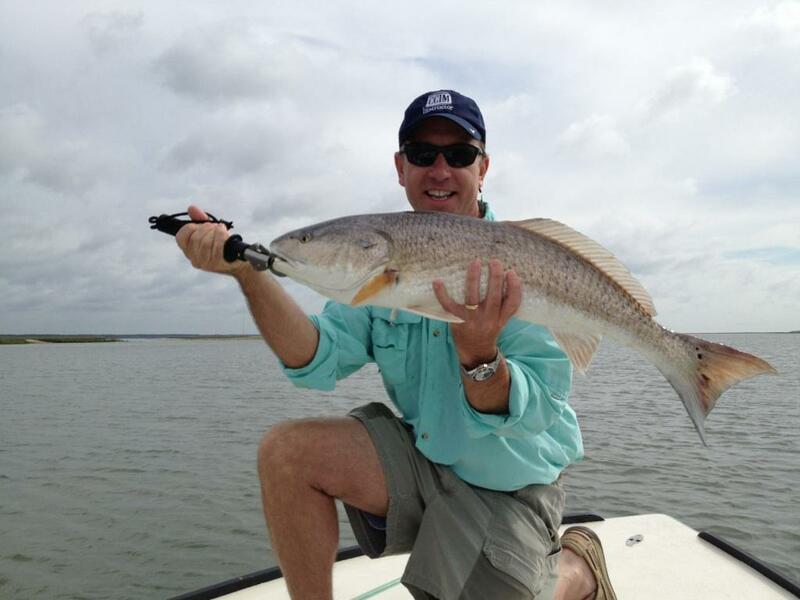 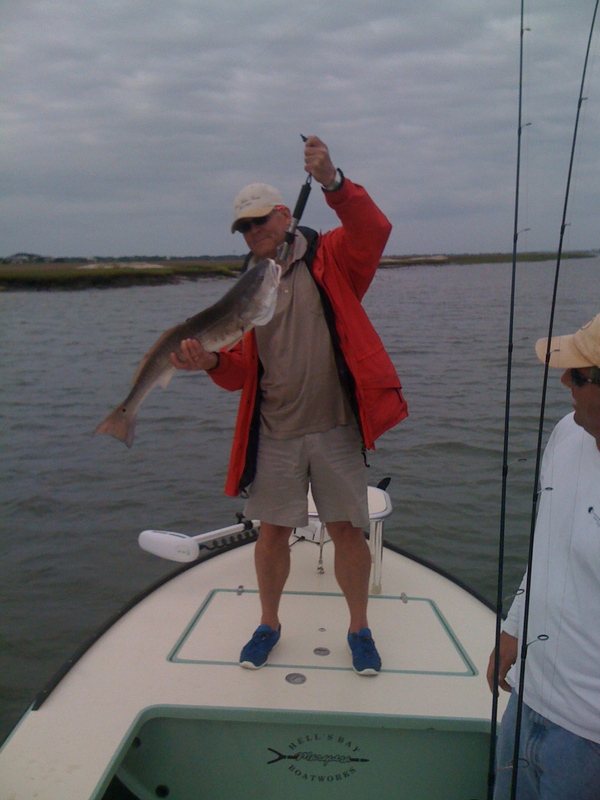 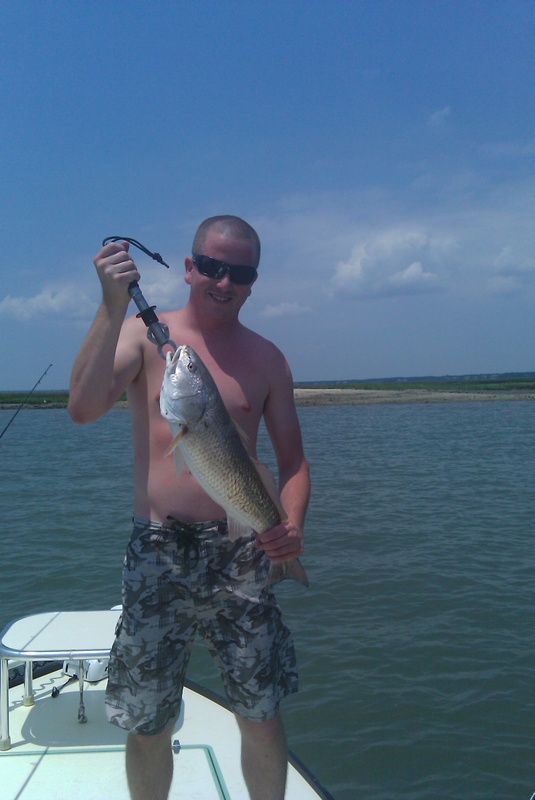 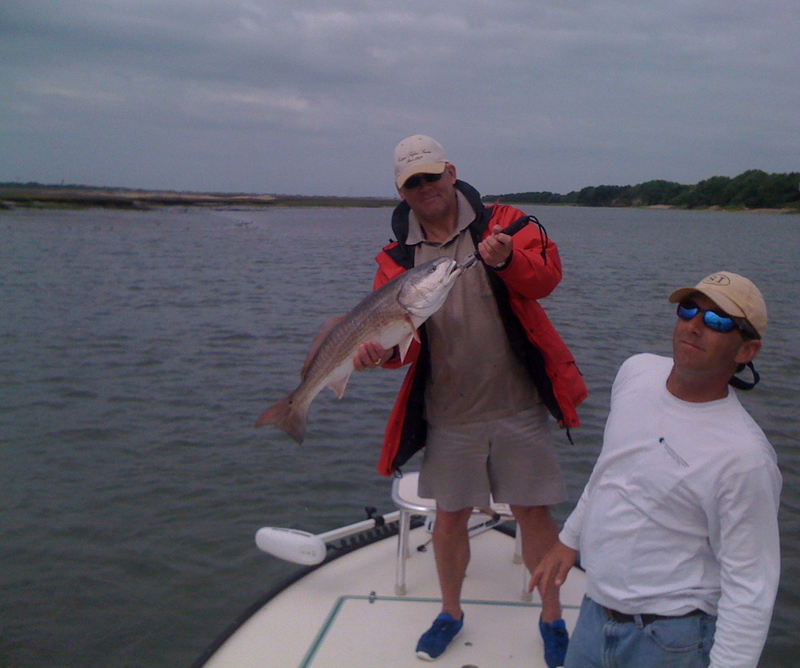 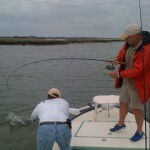 Sight fishing around the Isle of Palms area can be great during the fall, and winter months! 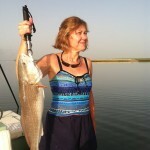 Captain Legare, Sue Zann and I wanted you to know how much we enjoyed our fishing tour today. 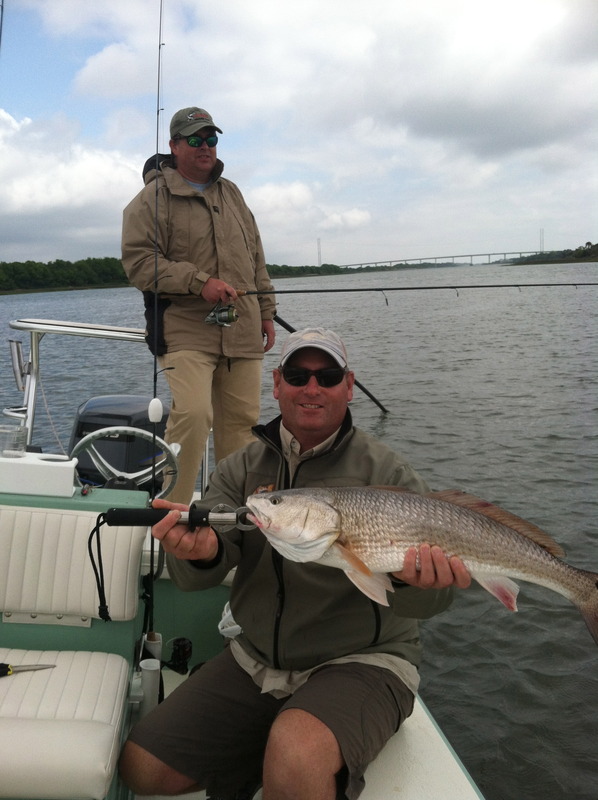 Of the several guided fishing tours we have taken in Charleston, this was by far the best and most productive we have been on. 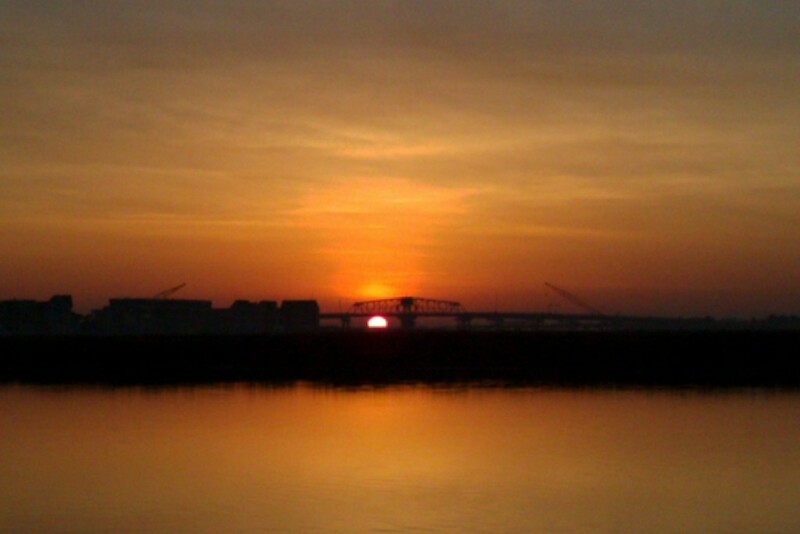 Thank you for the many memories we made today. 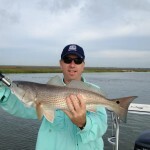 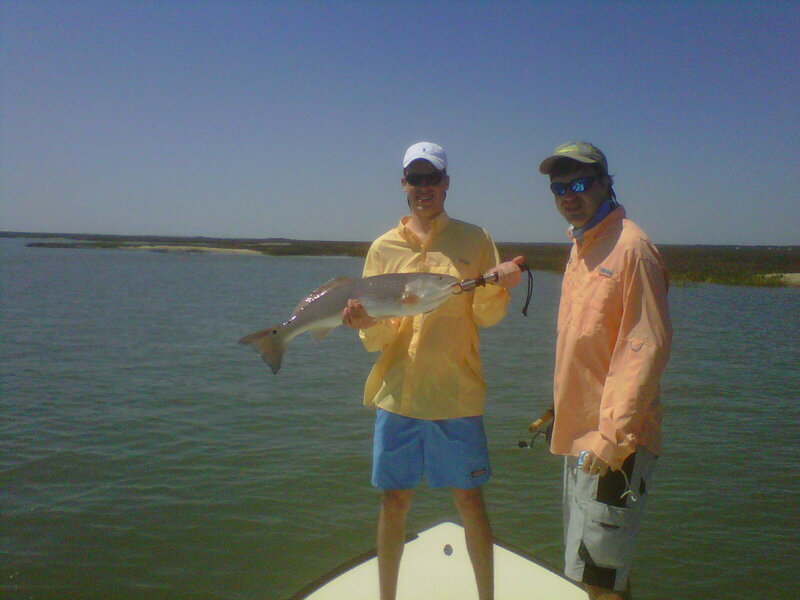 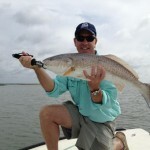 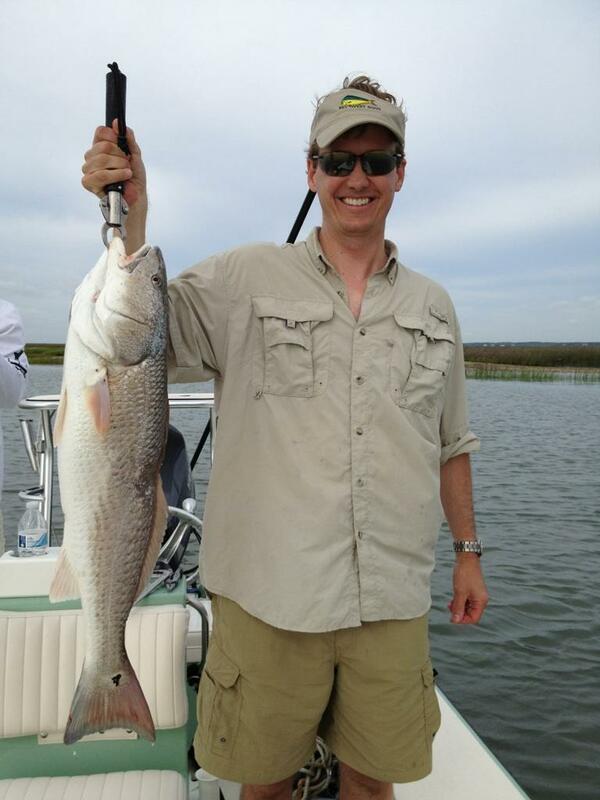 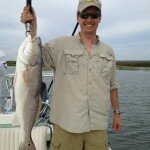 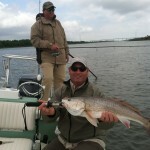 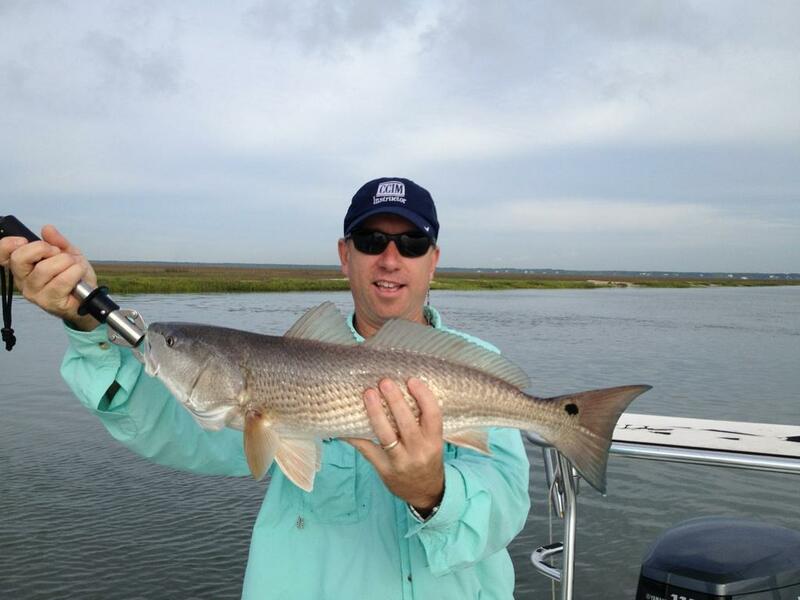 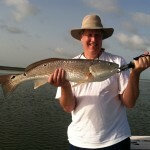 The redfish have been very active this spring. 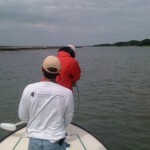 We are primarily bait fishing, using shrimp, mud minnows, menhaden, and finger mullet. 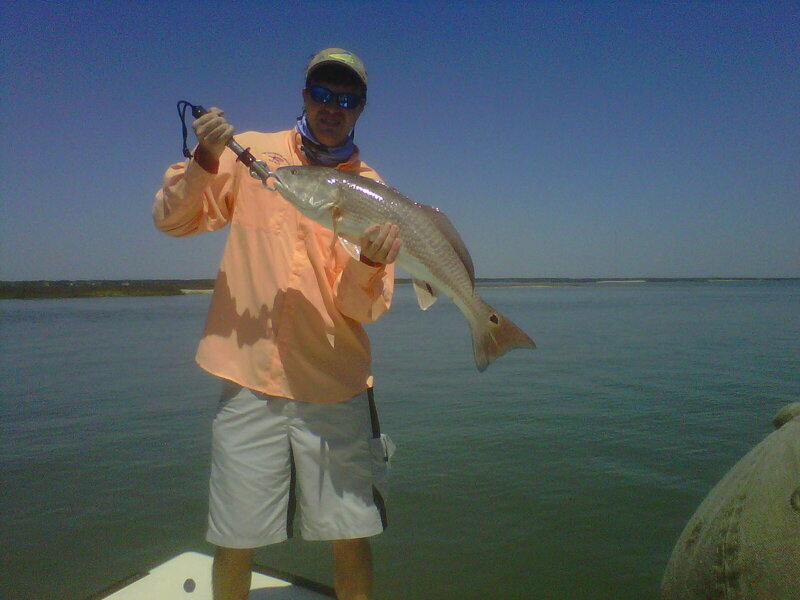 The reds seem to still be a little spooky at low water, and difficult to catch on artificial. 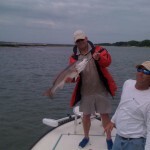 The trout, however, are feeding aggressively on artificial shrimp, and top water action. 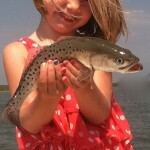 When fishing with the younger anglers, the trout don’t seem to mind a mud minnow. 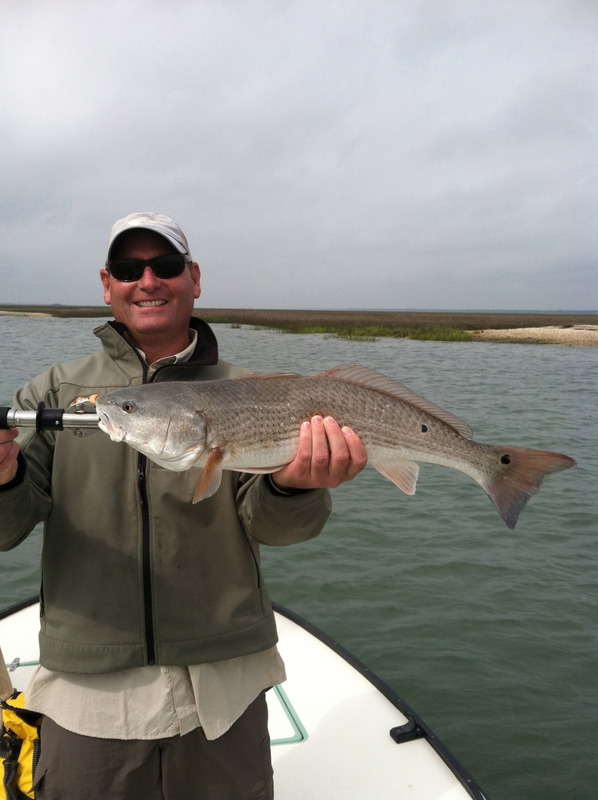 On their return trip the redfish treated them right. 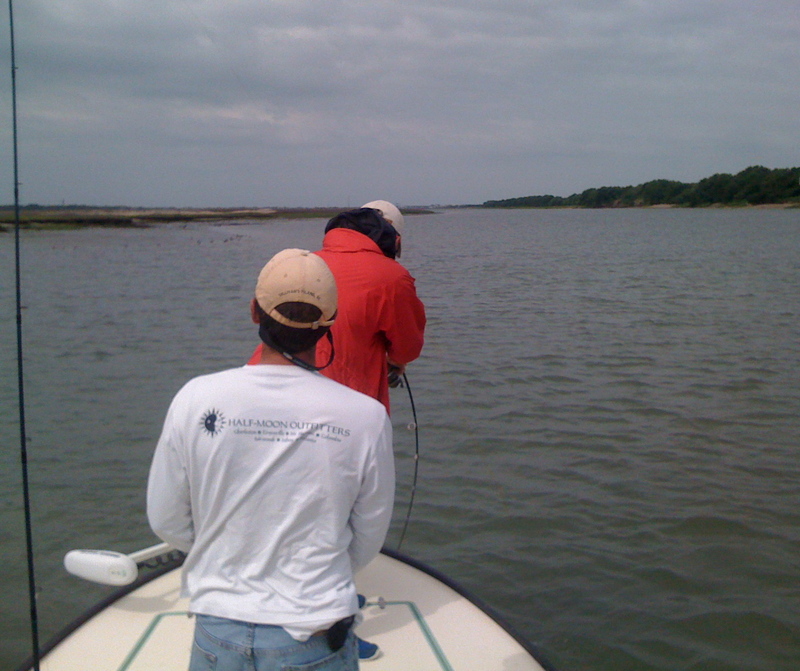 When we first met in the early spring the tide was rising and the wind was was out of the SW at 20, the conditions were tough to say the least. 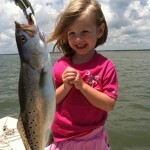 We worked hard and got a few. 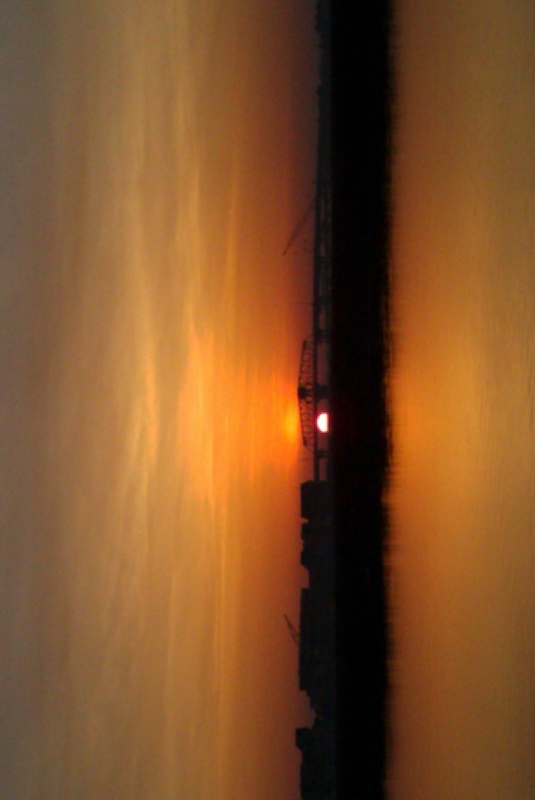 Second go around, just the opposite. 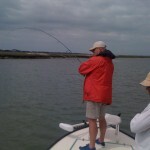 Perfect, the tide was falling and wind light and variable, the bite was on. 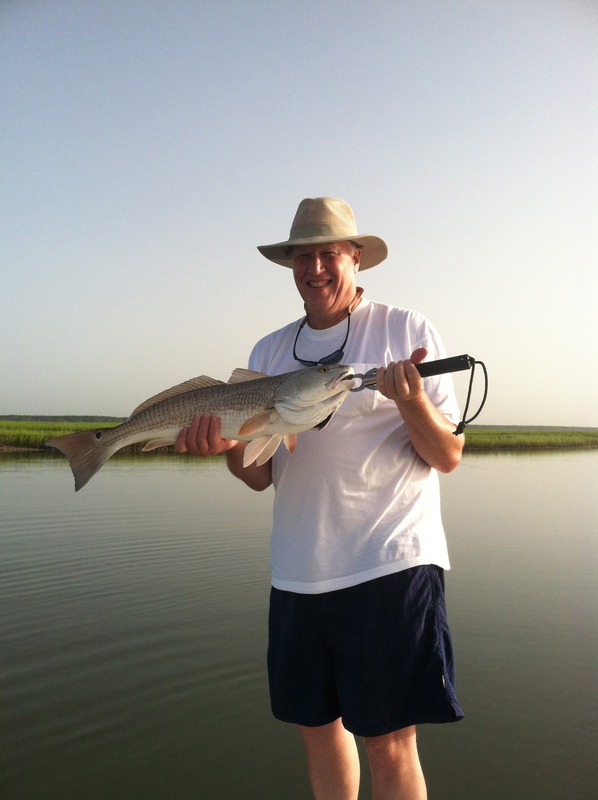 Day break/sunrise can be the most spectacular time of the day for catching redfish in Charleston. 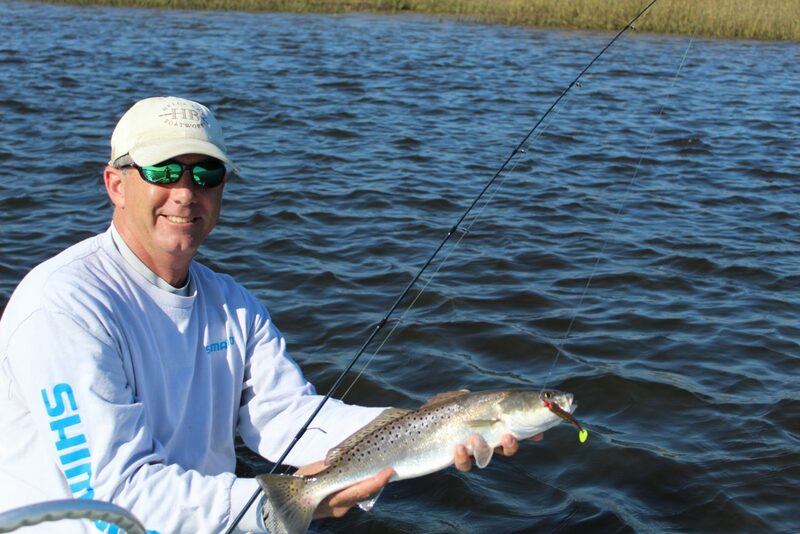 Half-day charter – topwater trout at daybreak followed by 10 big reds. 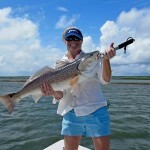 Can’t ask for a better introduction to Charleston fishing. This morning’s fishing trip was a blast. 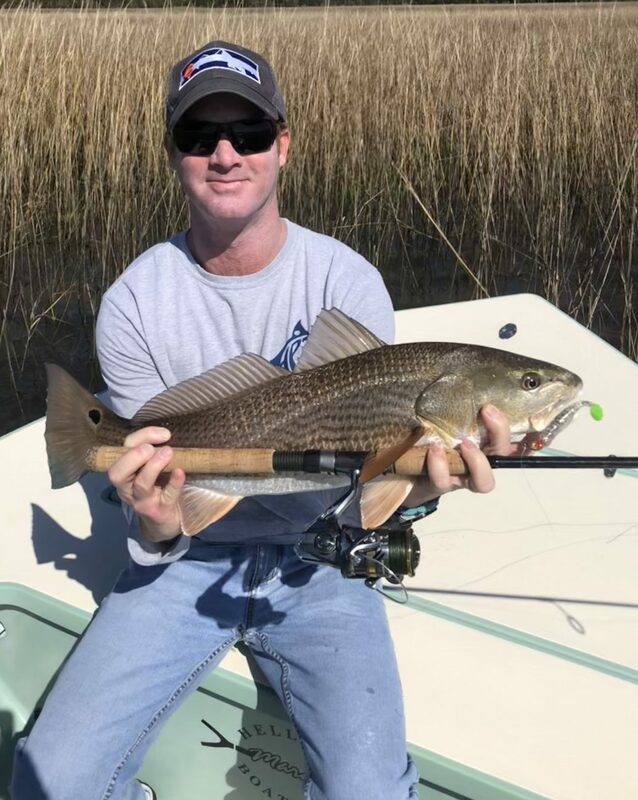 The client was an experienced angler from the Netherlands who has fished all over the world and this morning was his first experience catching redfish in Charleston. 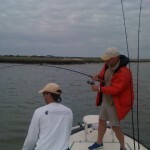 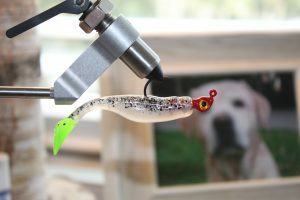 We left Shem Creek around daybreak and spent a few hours catching seatrout with artificial lures – awesome topwater action. 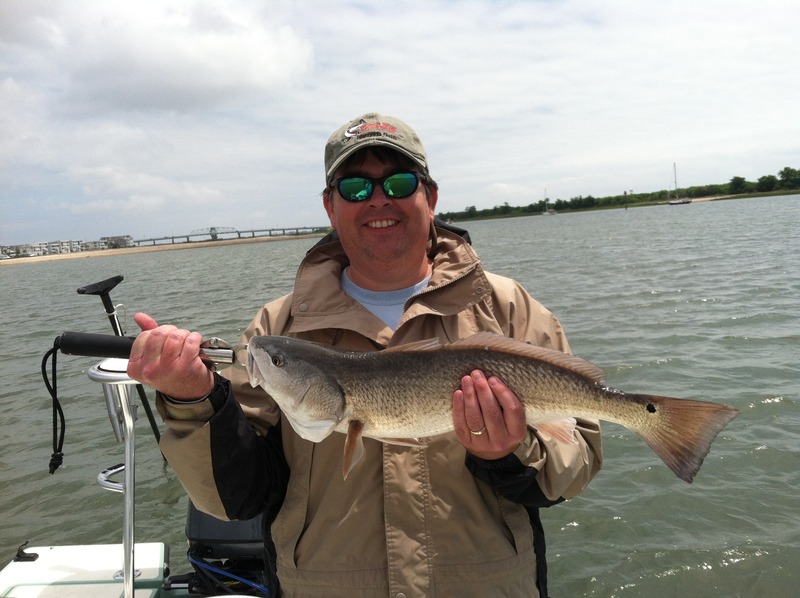 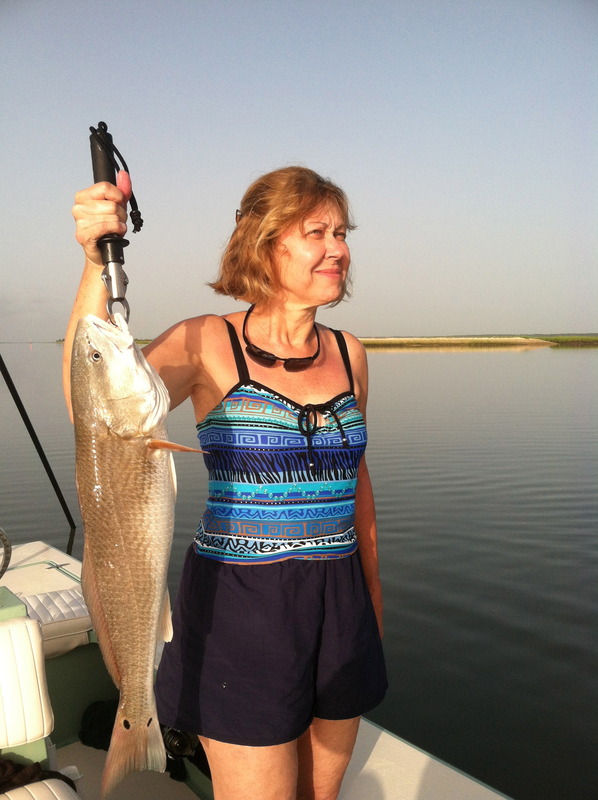 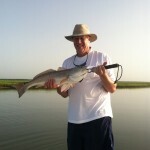 When the tide was right we moved to the ICW behind Isle of Palms and prepared for serious redfish action – an experience fishing guide doesn’t take a someone’s first experience catching redfish lightly! 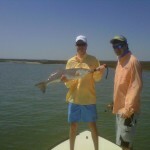 After poling around the flats and casting a variety of bait for an hour or so we found the spot. 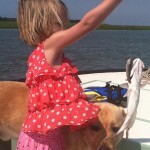 The pictures tell the story best.